This assumes a multi-level water loss (Class 3 | Cat 3). Prior to the loss, the area had experienced record low temperatures and this subsequently caused a drain pipe to rupture. There was standing black water that had transitioned into ice. The contaminated ice factor created a need for a significant amount of heat to be pumped into the property in a timely manner. 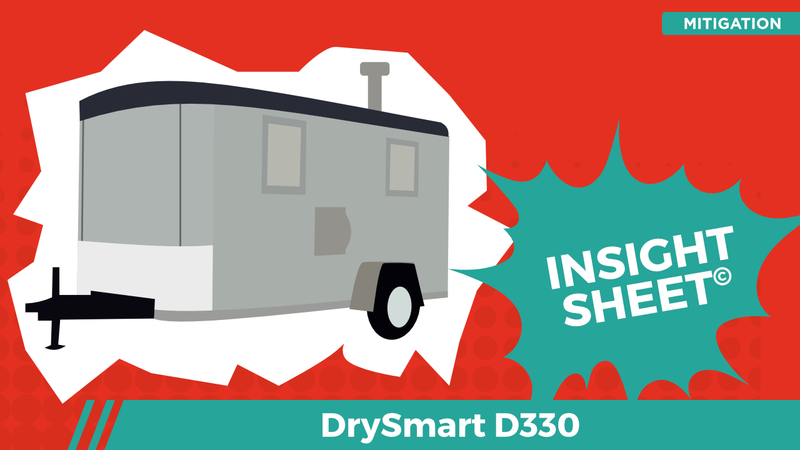 As such, the restoration contractor called upon the DrySmart D330 in an effort to dry down the frigid property. DrySmart performance drying equipment was exclusively employed. 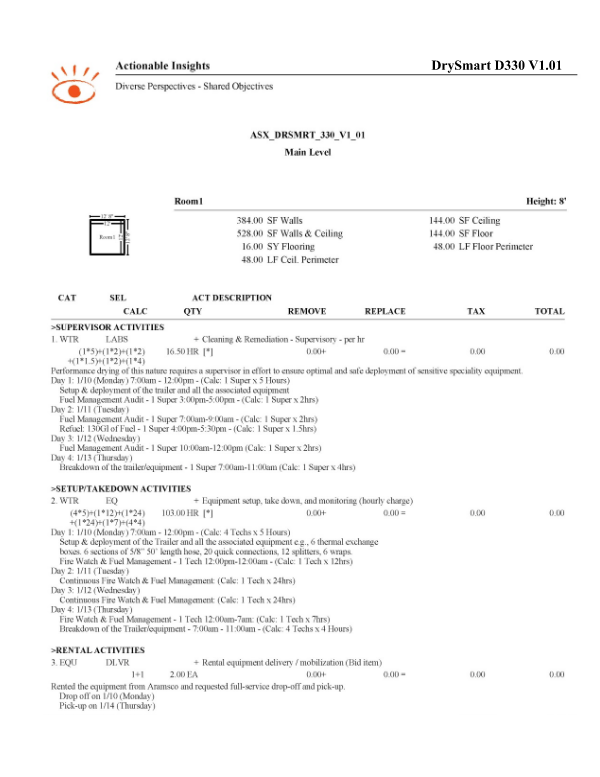 This Insight Sheet exists to clarify how one might invoice for a DrySmart D330. This does not seek to include or make concessions for all equipment and/or activities as it relates to a loss of this nature.